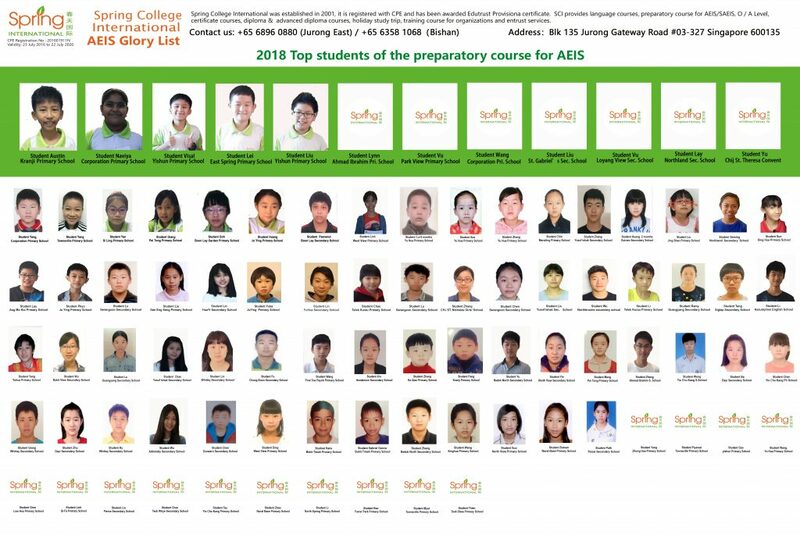 Preparatory Course for Admission to Singapore Government School (AEIS / S-AEIS) is designed to prepare international students who wish to join Singapore government primary and secondary schools. The AEIS consists of a centralised test on English and Mathematics that will assess the applicants’ English literacy, numeracy and reasoning abilities and it is conducted by MOE around September or October. International students who missed or failed the AEIS Test may sit for the Supplementary Admission Exercise for International Students (S-AEIS) Test in February / March of each year.